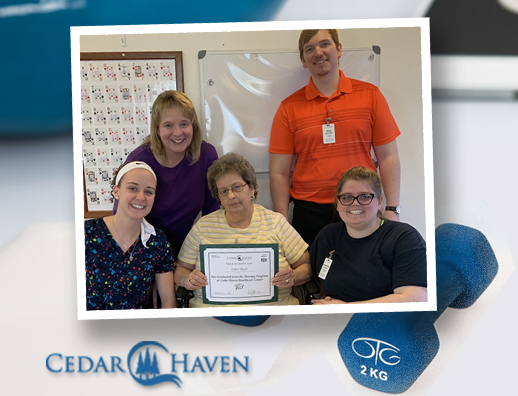 Esther S. recented graduated from our Short-term Therapy Program and stated that she “loved the crafts that Cedar Haven has to offer” and “enjoyed the therapy and nursing staff.” Thanks for the kind words, Esther! We are delighted to introduce you to Esther, a resident who recently completed our Short-term Therapy program. 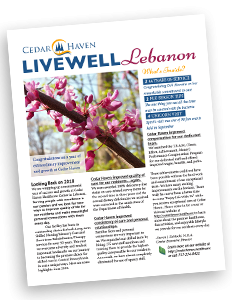 Esther was able to meet her therapeutic goals at Cedar Haven and return to her home. 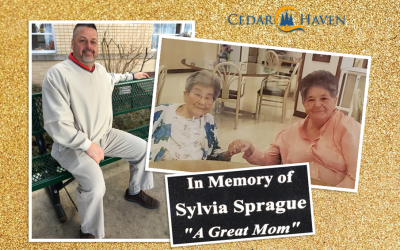 At her therapy graduation, we asked Esther a few questions about her stay at Cedar Haven. 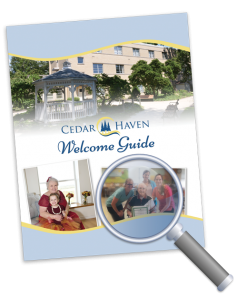 Esther shared with us that she would recommend Cedar Haven to others in need of short-term rehabilitation or long-term care. 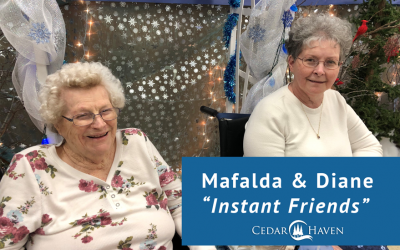 She said that loved the crafts and enjoyed the therapy and nursing staff. “I really liked all of the Therapy Staff,” she remarked. “They listen to what I have to say”. We are so pleased to hear that you had a successful and enjoyable stay with us. 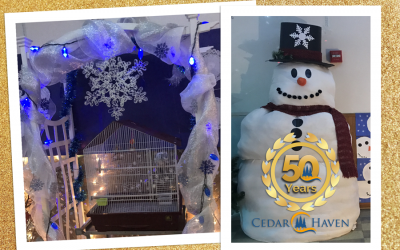 From all of us at Cedar Haven, we hope you have a wonderful summer… and have fun making more wreaths! Please join us in congratulating Esther on her achievements and her Therapy Graduation. 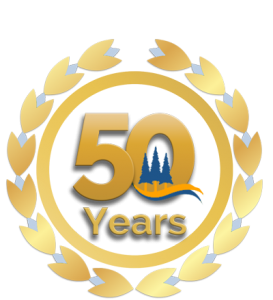 Please check back on our blog and Facebook page to hear additional stories about our Short-term rehab graduates and their achievements.